ALL-TIME FAVORITE POST FROM 2011 RE-BLOGGED: If it's Wednesday and you're in Dumaguete, don't forget to drop by Malatapay Tabo Market! Do this if you don't want to miss out the fun. 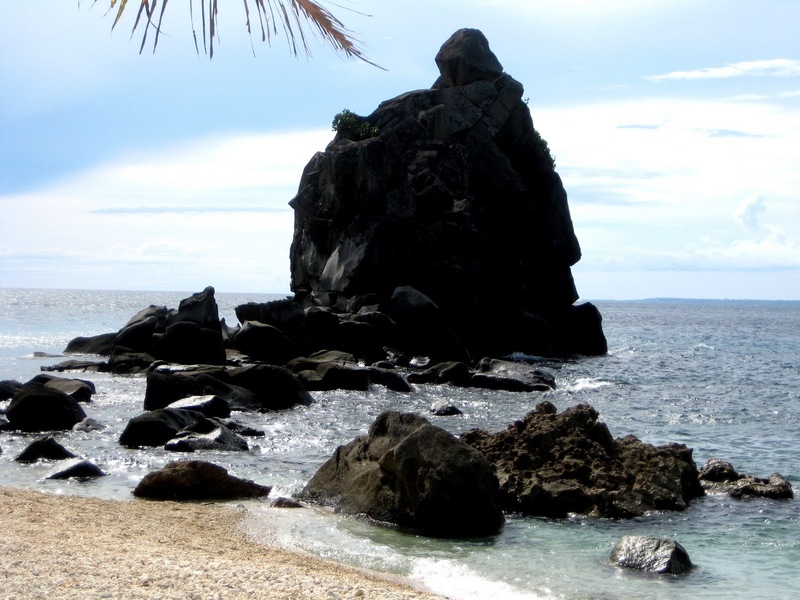 30 Kilometers South of Dumaguete on good road will bring you to a feast for all the senses. 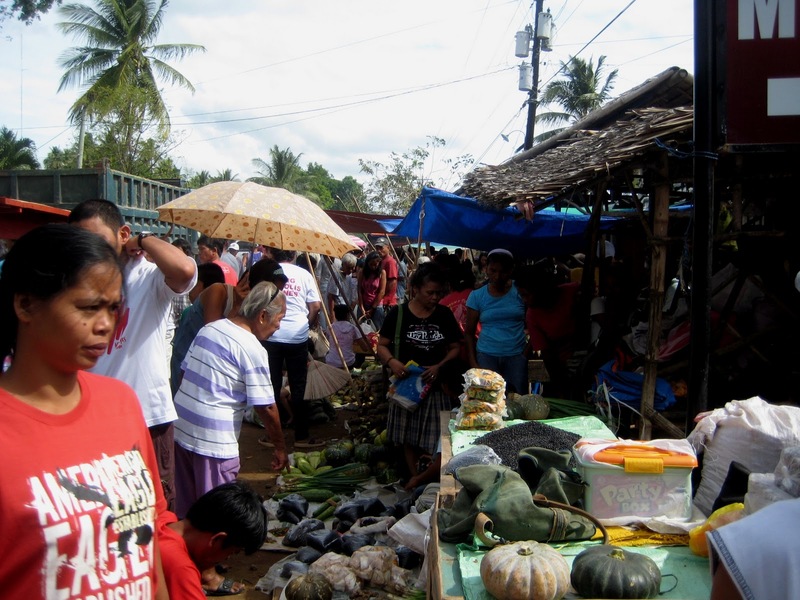 The market every Wednesday comes alive as farmers, fishermen and townsfolk from the peninsula and in the surrounding islands like Apo, converge and trade goods. I couldn't thank destiny and the heavens above for making this trip possible. Fresh from a good sleep, i was off to the bus station 2 hours after sunrise. With relatively good transportation around, taking the bus could save you the hassle of renting a tricycle to take you to Zamboanguita. It's good to ride the motorbike but it's more practical to just hop in and go down on the highway. 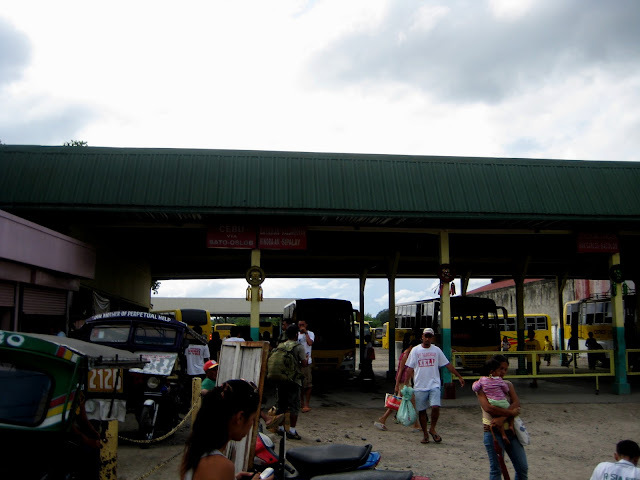 20 minutes after leaving the quaint bus station, i was dropped off in Baranggay Maluay in the town of Zamboanguita. The best products and the freshest produce are displayed and sold. Local folks also get to barter trade which is unheard of if you're coming from Manila. I love this kind of place. 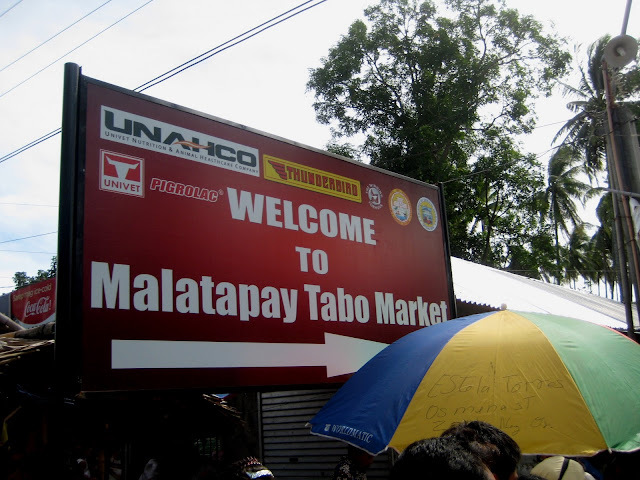 Malatapay Market is actually a personal recommendation of my friend whyh8! But instead of hating it, he suggested i visit this place in his hometown because he loves it. The other day, i was chatting with a couple of my colleagues from work who're from Dumaguete and Malatapay was one topic we discussed. 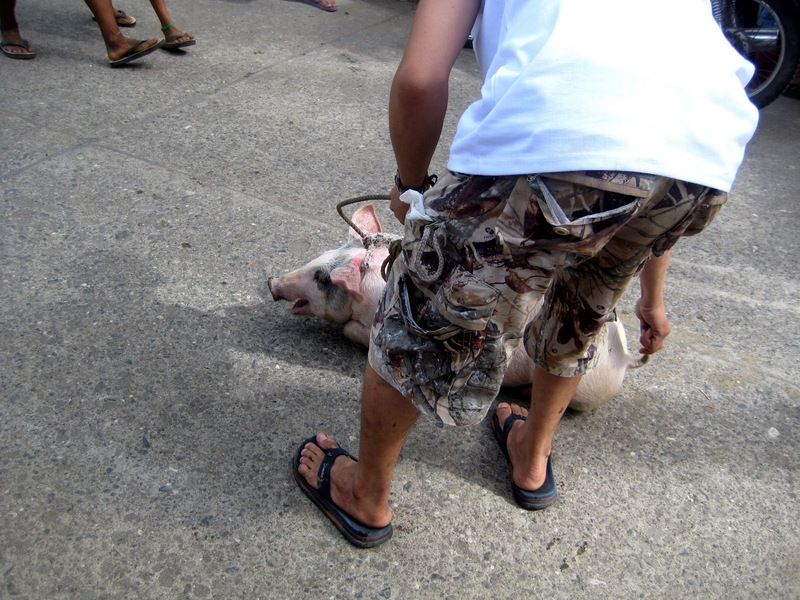 Others say, it's such an ugly sight to see because poor animals are slaughtered right in front of you. I did see a couple of pigs, cows and even chicken freshly cut with blood spurting out. It's different from what i see everyday. But who am i to complain? I'm just visiting around. While walking along the strip, i got to see the wares up close: clothing, knives, ropes, fresh blue marlin, poultry and yes...cellphone accessories. I arrived at the other side later that day, by the bay. I looked around and found countless number of people settled in with their stuff. 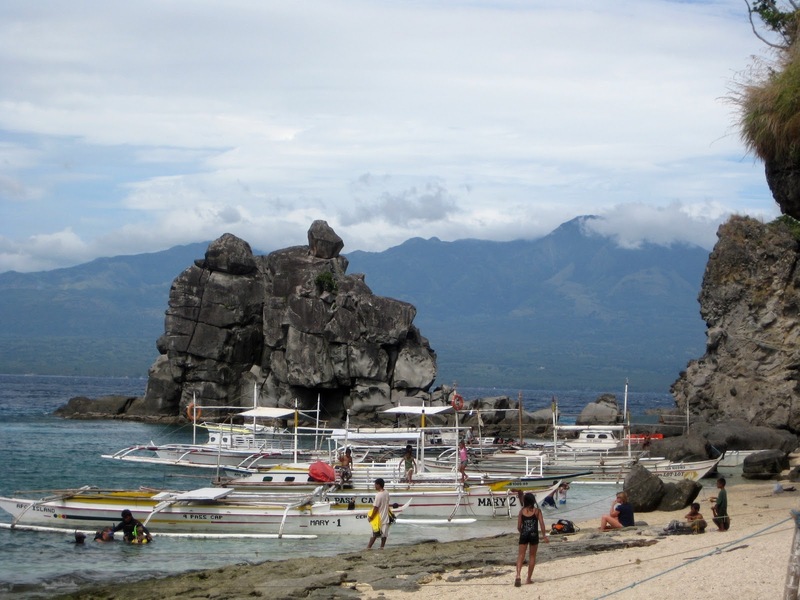 They're all headed to one place... Apo Island. This leaves me with a question... With no reservation and just me, myself and I... How will i get to Apo Island??? I asked the people manning the port. They were no help, to be honest. There weren't any schedule of boats leaving and arriving displayed, only price list of boats. A small boat for 4 people costs P1500 i think. A bigger boat that can fit 8 people costs roughly a few hundreds less than P3000. Of course, it's impractical for me to take either of the two considering I'm just traveling solo. I puffed a cigarette and started to wander around. A few minutes later, a lady approached me and said she'll ask the group she was traveling with if they can squeeze one more. Thankfully, they said Yes. I paid for my share, around P300 or $5. A few minutes later, i carried with me my backpack, slipped my flip-flops somewhere in the mesh pocket of my bag and was half-way the water when i realized the shorts i wore is the last pair i have. Who cares? If you want me to tell you that the water from Zamboanguita to Apo Island is calm, i will be lying. It's rough and most of the time i was holding tight to the wooden deck where i was sitting and holding hands with a bamboo stick so i won't lose my balance. I can see why this island is famous. It has this certain vibe where i know i will be amazed of what it has to offer. As soon as i arrived, i told the family i was traveling that i will be going on my own. They really wanted me to sit with them and eat because i didn't bring any food. As much as i want to mingle, i just have a no-talk policy for now. I want to relax, unwind and do this solo-no-talk therapy. We parted ways and planned to meet up around 3-4pm later that day. After paying the entrance fee for about P100 or $2, i also paid the Marine Sanctuary fee for P50 or $1. I rented out a snorkel and aqua shoes ( i should have brought mine) and proceeded my way to the other side of the island where the sanctuary is. I passed by the village and was greeted with friendly smiles from the locals. 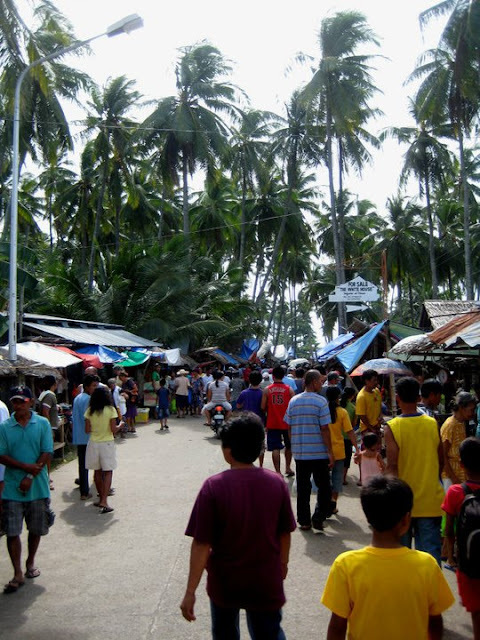 There were a couple of shops, a few eateries and huts opened to give in to the growing number of tourists in Apo. First things first, i am running out of clothing. Seeing the sea gypsies selling those funny Apo Island shirts was like Manna. I bought a couple of shirts as i still have a few days left before i fly back to Manila. I have no more clothing. Then, i was off to the underworld! If you think the sanctuary looks plain and boring, wait till you see the world down there. It's really amazing. I've never spent that long time snorkeling. I swam away and far out to sea where it's deeper. The corals were spectacular and the fish were just so playful. Saw clown fish, a couple of sea snakes and other colorful fishy-fishy. I saw them dancing, doing the yin yang poses and swimming back and forth. I was ecstatic. (Remind me again to finally buy a digital underwater camera). REMEMBER: DO NOT TOUCH THE CORALS! After seeing all the wonders plus a sea snake. I slowly flipped away from the sea to the shore. ha ha ( Scared as hell!) I went to Apo Island Resort to eat lunch. It was a good meal, actually. After communing with myself for a while, i ordered for chicken adobo, garlic rice, potato salad, two bottles of 8 ounce coca cola and 4 bottles of San Mig Light. I was in heaven. And it only cost me less than P500 considering it's a high-end resort. The rest of the day was spent doing absolutely nothing, which i loved. I would walk around and swim every now and then as i finish my bottle of beer. I regret not being able to snorkel some more near the rocks as i have heard great reviews about the place. I was back to where the boat docked. It was about quarter before 4pm and i was just admiring the beautiful sun as it slowly dies. 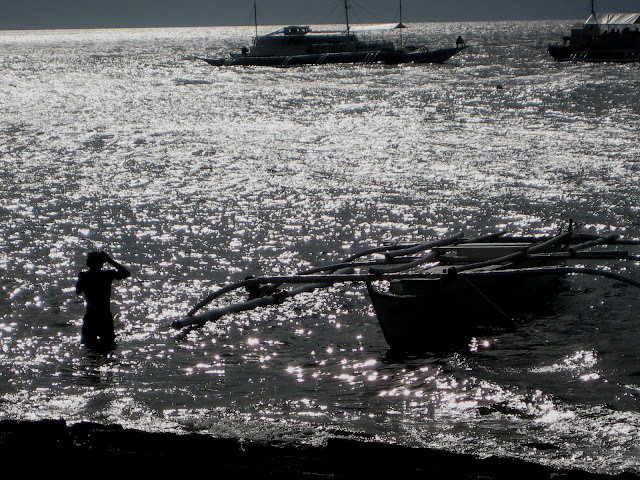 I see fishermen, little kids playing and dozen foreigners getting prepped up for a late afternoon dive. I was told that this day was the day the people saw about five turtles swimming a few meters away from the shore. That was happening while I was goofing with one little kid as he tries to hide from the lone tree. To be honest, i won't stay longer in Apo Island. A few hours was enough for me. I loved the vibe and the wonders underwater. I was searching for a place where i could feel i was discovering it, and not just touring it. I saw so many tourists and these tourists wind up doing the expected. I couldn't say i did something unique. At least, i had good sun and swim. 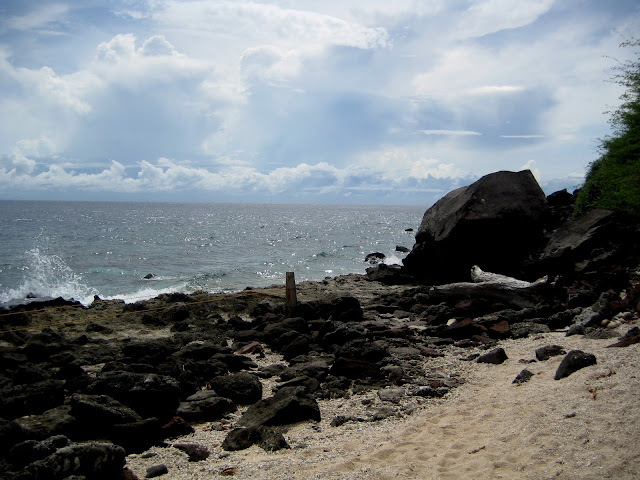 To the right are the cute huts of Apo Island Resort facing forward the majestic rock. If you look closely, there's a text written on it. I am not sure if this is the work of vandals. Slowly, the island of Apo fades away from the horizon. The view from the boat was spectacular but again, the water was raging. I got to chat with the family: the father, the daughters and sons. Later on, i found out that the father is working in the states as an engineer and he just came back to Dumaguete for a short vacation. They are going to Apo island for a short vacation. Here i am, ruining their precious moment together. But it's okay, i felt at home with them. I suddenly missed my family. If only they know how my trips build the best of me, they would be proud of me. I looked up in the sky as the sun sets and saw what's ahead of me. God, Negros is so beautiful! After arriving in Zamboanguita, i was ready to head back to Dumaguete. As i was cleaning my feet from the sand in one of the poso, the family approached me once again and told me to hitch a ride with them heading back to the city. I left Zamboanguita via a multi-cab which the family owns. I passed through quaint little towns on my way back to the city. In between looking at the window, i share a laugh and smile for the family i met showed me what kindness and generosity is all about. *This post is dedicated to the kindness of Engineer Conrado V. Del Carmen and his family. 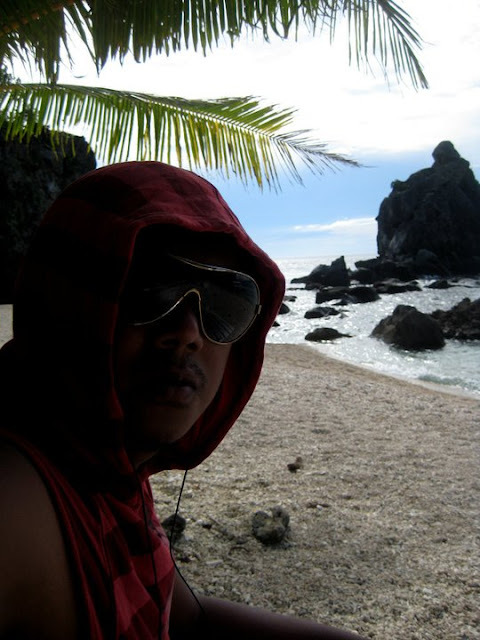 Thank you sir for making my trip to Apo Island. Compelling entry once again. I don't read much stories on blog esp if it's totally wordy but yours is an exception. I read your blog from tuldok to tuldok. Your photo with fisherman near the boat is a winner. I almost cried seeing that photo. No joke. If there's "TEARS OF JOY", there's also "Natulala at napaluha sa mangha". Ok, corny ang quote ko but that's what I felt. Haha. @lakwatsera de primera yes i am very surprised and it's the first time i saw something like that. you can't find anything like it in Manila. 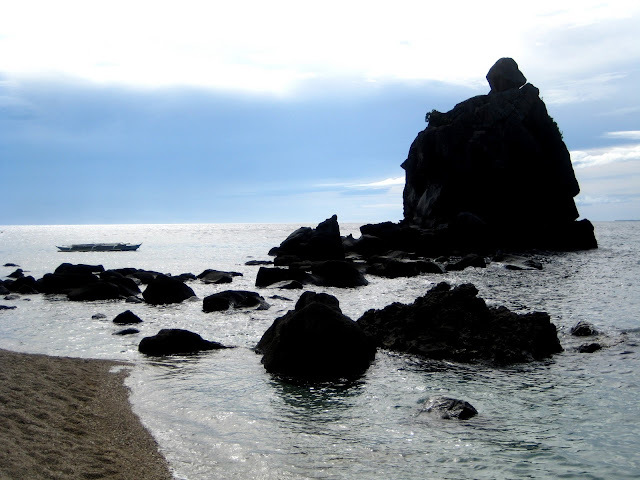 Yes, Apo Island is a blast, marami lang talagang tao but it's worth it! @Chyng grabe basa talaga! the water so rough i was holding on to anything to keep me balance. i agree, those who are not fans of rough seas will find the water going to Apo Island a big challenge. I think so too. God loves solo travelers. Ako like i read your post, and it was nice to know that you met like the French girls who was so amazed of the country. Later on, they've become your travel buddies. 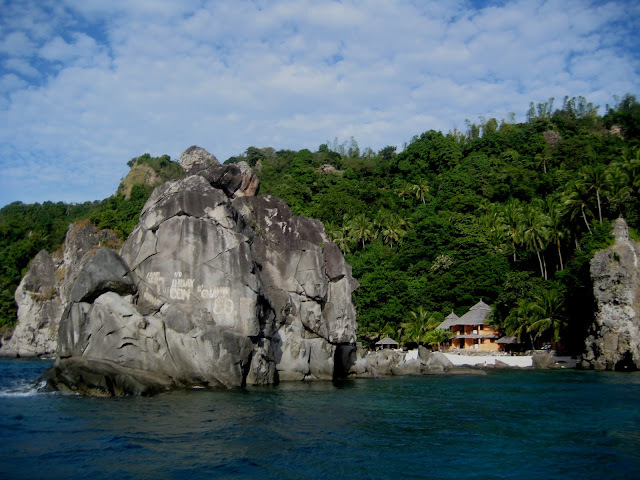 @Cedric yes, my friend really recommended the trip to Malatapay so since I'm going there i might as well head to Apo Island. good thing, i was in town on a Wednesday because the market comes alive every Wednesday. Saya, i wanted to stay longer there but i need to go to Apo Island already, and coming back it was already late in the afternoon. @chinchan hello Chinchan!!! Yes, it's one great trip! 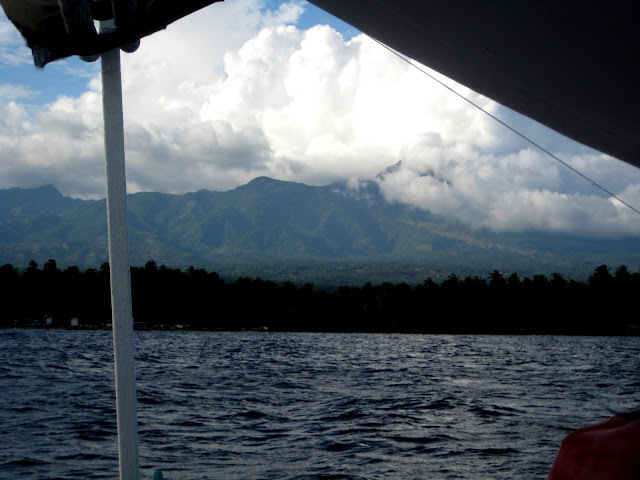 i miss Negros, and its many natural wonders! @Rizalenio Thank you very much. There's so much to write and there's so much to learn! But i also have to commend other bloggers for their excellent work. I've read many amazing stories from Filipino bloggers. Your photos are absolutely adorable, very inspirational. I love that photo too. Ang ganda kasi ganun talaga yung araw, parang may point nga na nakakatakot na! 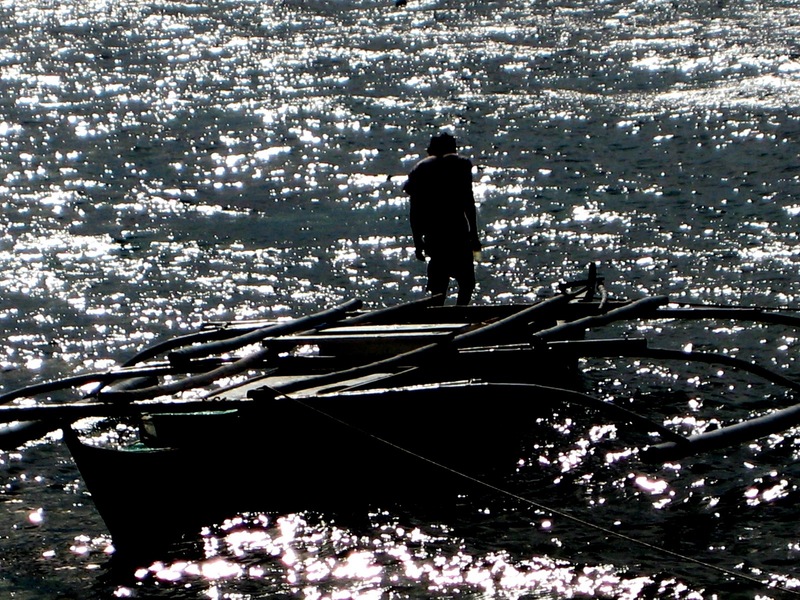 what's nice is sakto nandun yung fisherman na nagbabanlaw after a day of fishing. Thank you very much. I want to ask from a photographer's point of view, is it time to level up the camera? i am just using a point and shoot! 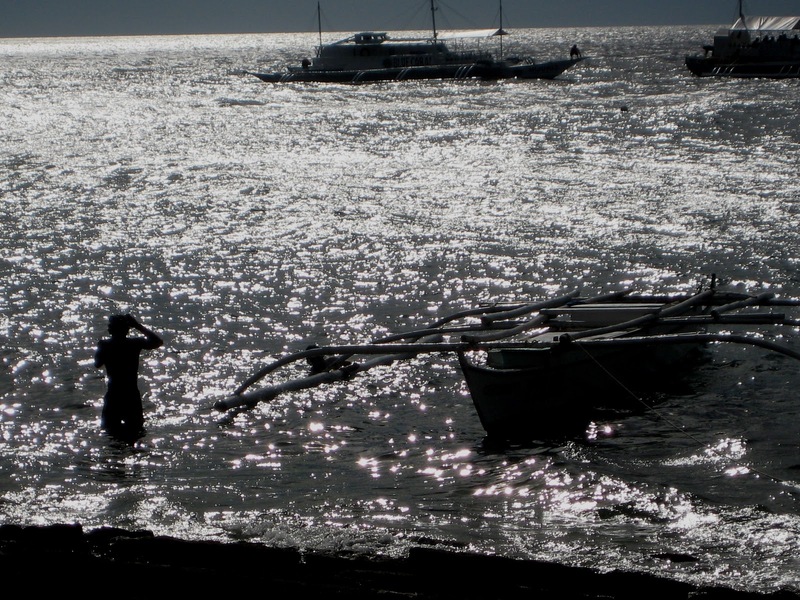 ahh, the boat trip to Apo Island. Good thing you were able to pay only 300 bucks for the trip! It was definitely one heck of a ride to the island. I remember asking the boatmen countless times if my things they stored in the compartment were secure and dry as I brought my slr and my laptop with me! Snake, good thing i didn't bother going snorkeling some more. I'm scared of snakes too. hehe. but i was able to climb the famous rock barefoot. more posts jerik! Bilib ako sa mga solo travelers.. saludo ko senyo..apir* si Chyng sobrang tapang.. astig! nabasa ko yung BATAD entry nya.. nakakatakot..
@Rizalenio thanks thanks. by the way, can you recommend a good dslr camera that's perfect for travel photography? @Ed i know, buti na lang may nakilala akong mabababit! They were really nice to me. wala na akong mahanap na boat going there, yun lang ang problem pag mag-isa ka magtravel, minsan napapamahal. Yes, sobrang natakot ako sa sea snake. later on ko na lang nalaman when i was talking to marine biologist how poisonous it is. sabi niya, it's either 5 mins, 5 hours or 5 days dedo ka na! Ed, question, yung rocks na yun vinandalize lang ba yun or noon pa yun! thanks so much, man! @THRIFTY FASHIONISTA Yes! Negros is beautiful, you should book a flight. It's an excellent place to roam around and relax! You will love it there! @Ian maraming sea snakes talaga, i saw about two at one time. from research, sea snakes usually roam at the bottom of the sea, so if you're floating snorkeling, you're still good. But yes, now i know why Apo Island is that popular! Do those sea snakes bite? Intense pain is not obvious at the site of the sea snake bite; 30 minutes after the bite there is stiffness, muscle aches and spasm of the jaw followed by moderate to severe pain in the affected limb. There follows progressive CNS symptoms of blurred vision, drowsiness and finally respiratory paralysis. A specific antivenin is available. Good news! : Most sea snake bites occur on trawlers, when the snakes are sometimes hauled in with the catch. Only a small proportion of bites are fatal to man, as the snake can control the amount of envenomation, a fact probably accounting for the large number of folk cures said to be 95% effective. this is the first tie i heard of malatapay market... i want to see that too. re apo island, everyone was telling me about that when i visited dumaguete in 2008, too bad i have to leave asap. sabi nga nila the best and diving and snorkeling dun. @journeyingjames oo boss, the best sa dun sa area na yun. It's a good combo trip: Wednesday - Malatapay Market and then head to Apo Island. For sure, you will love it there! But i guess, Balicasag Island in Bohol is also superb. Can't wait to read Chyng's post on Bohol! @Mark thanks so much. i am glad i was able to help you in my own little way. Nice trip you will have. It's awesome there! Hope you can catch the swimming "pawikans". Awesome blog you have also! Jerik! inspiring post. katakot, sea snake. nakakita lang din ako sa Padre Burgos, Southern Leyte. Good thing, patay na. Sana matuloy kami sa Apo. hehe. 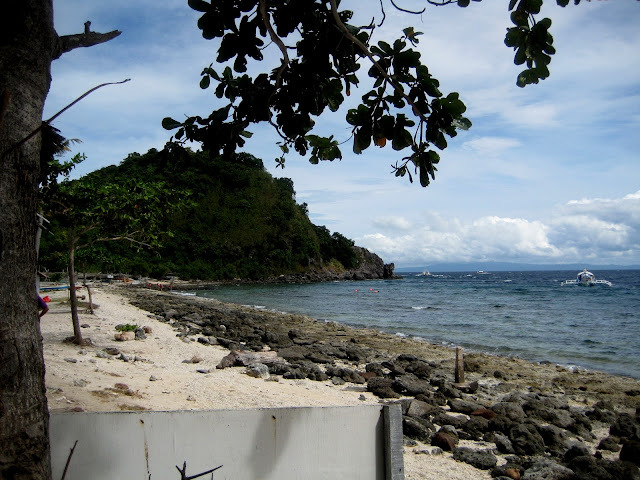 @Tripadora yes you'll love it there plus the chicken adobo and potato salad in Apo Island Resort is really really good. i know, i tried to calm myself and swim back to shore. waaaahhhh katakot nga but i guess, di naman siya ganun ka-threatening kasi the sea snakes mostly stay in the bottom of the ocean. I have visited my wife's family in Zambo. You can see the island from the beach. Very nice area, clear water. Lots of dive resorts. Most beutiful women in the Phillipines.